Pro-Worker Legislation was the Main Topic of Discussion on America’s Work Force. On March 4, Mark Gruenberg, writer for Press Associates Inc. union news service, spoke about the progressive agenda set for 2019 while on America’s Work Force. Gruenberg discussed pro-worker legislation being one of the main targets in the progressive agenda for the year. He said that the pro-worker legislation will include legislation on equal pay for equal work and workers freedom to negotiate act. Gruenberg also touched on the Green New Deal and how some Republicans are in favor of using alternative energy sources over fossil fuels. To wrap up his interview, Gruenberg discussed the long term effects of the government shutdown, such as huge financial hits on government workers who had to dip into their savings and 401k’s because they were not receiving pay during the shutdown. Sue McConnell, president of the Cleveland Better Business Bureau, discussed a variety of scams for students to be on the lookout for during spring break season. She explained the importance of researching housing accomodations thoroughly before booking and paying for them, and to also look up the address to make sure that it is valid. McConnell also talked about “car wrap” scams and “friends and family” scams. Week two of the partial government shutdown was the main topic of discussion during the Jan. 7 edition of America’s Work Force. Labor writer Mark Gruenberg with Press Associates Union discussed the partial government shutdown and the ongoing effects it has on government employees. He talked about “essential” government employees that are required to continue to work during the shutdown but are unsure if they will be paid or not. Gruenberg also talked about the American Federation of Government Employees lawsuit against the Trump administration in federal court to pay the “essential” workers, but the courts can’t heart the case right now because they are part of the shutdown. He also mentioned the outlook for the new congress. 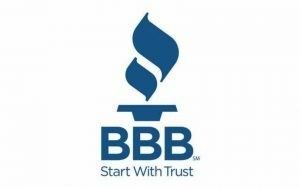 Sue McConnell with the Better Business Bureau, BBB, joined AWF on Jan. 7 and discussed the top 10 scams of 2018, as listed by the BBB. From E-commerce to medicare scams, McConnell gives an overview and explanation of all of the top scams of the year. AWF host Ed “Flash” Ferenc discussed President Trump’s demands more money in order to pay for the border wall when he still has yet to use the current money allocated towards border security. 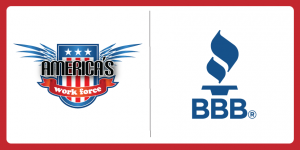 Sue McConnell from the Better Business Bureau warned shoppers should beware of holiday shopping scams on America’s Work Force Radio. McConnell, during her Dec. 3 AWF appearance, listed a number of scams to look out for while shopping during the upcoming Christmas season. One scam that motorists and anyone else using a gas or kerosene pump should be aware of is a credit card skimmer at the pumps. She said people’s credit card information is being stolen through the use of card skimmers and explained the steps to take if you fall victim to it. She stressed the importance of checking the validity of websites before making an online purchase. This is especially important on big-ticket items to ensure the company is legitimate so you do not get ripped off. Finally, McConnell talked about doing research and meeting in person before buying a puppy as a gift. By doing so, shoppers will be able to make sure the dog is as described, healthy and gives you the ability to ask any questions about the animal. 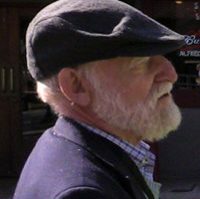 Labor writer Mark Gruenberg joined America’s Work Force Radio and discussed the new congress, which will have the ability to rewrite existing labor laws to make them more worker friendly, especially for those who want to organize. He also talked about potential problems that could arise by privatizing the U.S. Postal Service. Gruenberg though, thinks privatization will not happen. AWF host Ed “Flash” Ferenc talked about the U.S.–Mexico–Canada Trade Agreement (USMCA), which some people call the new NAFTA. He also spoke about workers with Unite Here Local 5, who ended their 51-day strike when they ratified a new contract with five hotels.